I was very happy to say that I was present at the inaugural HRH AOR festival the other week. Why? Because all the bands were great, but a few really shone! One of those was Moritz. Moritz are a band that were just so unlucky back in the day. Founded in 1986 in London, UK. 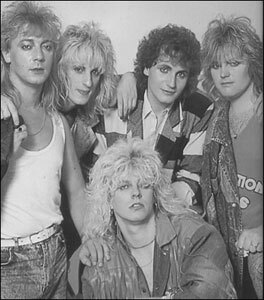 The band consisted of members from Icemon, Spitfire and LA Secrets(featuring Laurence Archer of Stampede/Grand Slam). 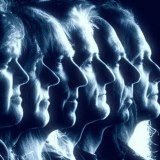 The band was fairly short lived and they split in 1988 and Ian, Greg & Andy became the core of AOR band If Only (review here - http://www.chesyrockreviews.com/2011/06/if-only-no-bed-of-roses.html ) while Peter went onto join Samson. 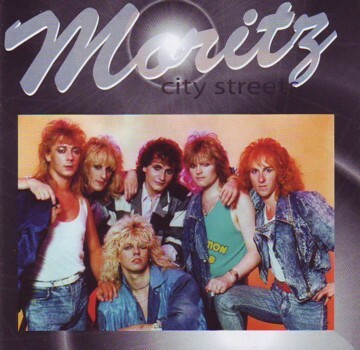 The band returned in 2008 after the long awaited City Streets CD finally gained a release via the Harmony Factory label. The album consisted of the sought after so called Shadows of a Dream EP and some unreleased recordings. It received critical acclaim, prompting the guys to get back together. Perhaps the album cover put people off!! (Exhibit A at the bottom of the review). Its one of those has to be seen to be believed. Thankfully the guys have matured a bit and don’t give a toss about the image – just the music. The band reformed with the original line-up, and released the excellent Undivided in 2011. I love this album, but in hindsight it sounds a little ‘flat’ when listening to the new opus ‘SOS’. Moritz have obviously eons of experience and this time have followed the ‘ if something’s worth doing, its worth doing right’ mantra. Throw more money doesn’t mean success I hear you say. But, its bloody well worked in this instance, AND it still probably hasn’t cost them a fortune. Immediately, the album production sounds superior over Undivided, and, more importantly, everyone is bringing their A Game right from the off. 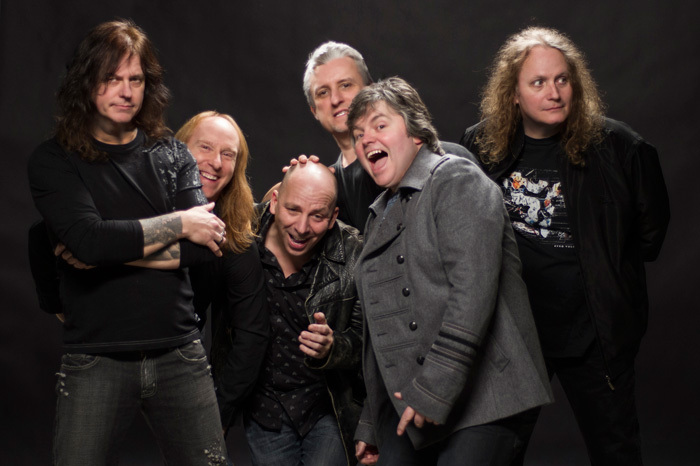 ‘Fire’ or it should be named “On Fire” as Pete Scallan’s vocals immediately kick me in the teeth and he comes over a little Bon Scott/ Jimmy Barnes in sound, and that is one great sound I can tell ya. The ante is upped immediately, and Fire becomes the ignition point for the whole album. ‘Cant Hide My Heart’ falls into now typical Moritz territory, smooth, classy, and a chorus that’s instantly memorable. ‘Gonna Lose Her’ has more of a 70s funk groove than anything heard from them before and its nice to hear that its not all just AOR. Until that chorus……! Great, great song. ‘Remember Yesterday’ has a Foreigner feel to the beginning, completely different from the rest, but just as compelling. Its hard not to compare ‘Mercury Falling’ to Brian May as the guitar tones are exactly the same. ‘Amber Lee’ is one of the many highlights, very 80’s but a classy Radio friendly affair. ‘Caught Between Life & Light’ is the first ‘real’ ballad on the album; a mellow start building up to a really nice crescendo and a great solo from Nolan. 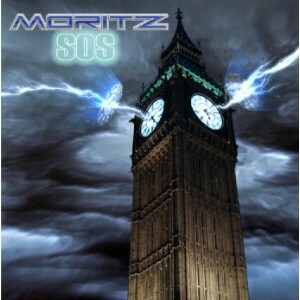 If you’re gonna finish, then finish on a good ‘un, and title track ‘SOS’ does just that, a powerful Moritz modern day anthem! Predominantly the main songwriter is Greg Hart, who based on his quality deserves to be sitting on a huge pot of money. Couple this with the excellent vocals of Scallan, the Flying V soloing of Mike Nolan, the great texture added by Andy Stewart, and the backbone of Ian Edwards, and John Tonks, and ''SOS'' makes for one of the best albums of the year, and its still only April. 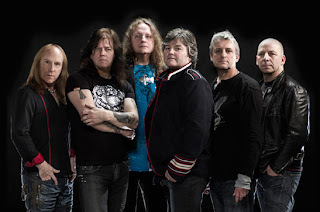 If this isn’t still in my or most other melodic rock lovers Top 5 come December I’ll eat this review! An essential buy for 2013. Oh Yeah, here's the pic from the top of the review - Exhibit A!......with what looks like 'Robbin Crosby' from Ratt sat in the front! !